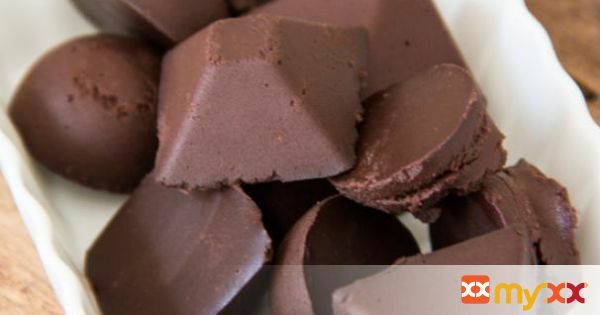 Want to learn how to make your own healthy sugar-free chocolate? This recipe will teach you how. All you need is coconut oil, maple syrup and unsweetened cacao powder. 1. Melt the coconut oil in a small saucepan over low heat. Once melted, mix it with the unsweetened cacao powder, maple syrup and salt in a bowl. Preferably with a whisker to avoid any lumps. 2. Pour the chocolate mix into small chocolate forms. You can also use a regular baking tray. 3. Place them in the freezer/fridge to harden for a few hours. If you’re using a regular baking tray, cut the chocolate into pieces with a sharp knife. 4. It is necessary to store the chocolate in the freezer/fridge. Otherwise it won’t hold together. 5. Lick all spoons and bowls clean of chocolate.